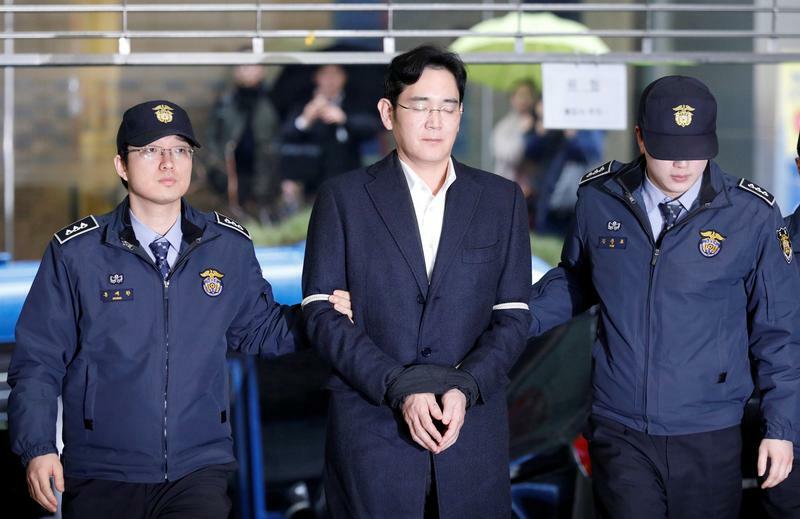 A jail sentence for de facto leader Jay Y. Lee would leave Samsung’s flagship $300 bln unit rudderless. A legal victory would create problems, too: Lee’s defence of wielding little power at the wider group damages his authority. It has a leadership deficit either way. A South Korean court will decide on a verdict for Samsung's de facto leader, Jay Y. Lee, on Aug. 25. Lee, who has been detained since February, is on trial for charges including bribery, embezzlement and perjury relating to a corruption scandal that prompted the ouster of ex-President Park Geun-hye. Prosecutors demanded a 12-year jail term. Lee has denied all charges, testifying that he has not wielded extensive power in running the country's largest conglomerate and that he had no knowledge of any pressure to pay Park bribes. "90 to 95 percent of my work relates to Samsung Electronics and related affiliates. And for other matters, I've been assisted by the corporate strategy office," Lee said, referring to the group's now disbanded power centre, headed by his former top lieutenant, Choi Gee-sung. A final decision could take months because any verdict is likely to be appealed to a higher court.